Coyote Grille's exceptional service impresses guests (photo courtesy of Kyra Wiseman). Our first impression: LOUD. Walking inside, we were greeted with the rowdy happy conversations of many families gathered together for brunch. When asked if we would like to be seated indoors or outdoors, my friend and I chose the alfresco option, as it was a nice day outside. Once seated, we realized that it might have been a better idea to stay indoors, thanks to the loud party that was going on at the time. However, we were not going to let the much-needed sunlight and warm weather get away from us, so we put up with the noise of the other group. After taking our seats, our server supplied us with tortilla chips and salsa to munch on as we perused the menu. I was pleasantly surprised by the kick the salsa possessed. For an appetizer, we ordered the chili con queso with chorizo. For my entrée, I chose the grilled chicken and chorizo burrito. My friend picked the steak chimichanga, which, according to the description on the menu, is basically a grilled burrito with lots of cheese stuffed inside. The queso dip graced our table within minutes. I was shocked by how suspiciously fast it arrived. It was warm and spicy, but not overpoweringly so. The queso would have been consumed in minutes had our entrees not arrived so quickly. I am a fairly quick eater, and if my entrée arrives before I’m even halfway done with the appetizer, it is a sign of extraordinarily fast service. Both of our dishes came with a side of guacamole, sour cream and our choice of black or refried beans. I chose the refried beans, and my friend chose the black ones. One thing I noticed when my dish arrived was that my beans were missing. Otherwise, I enjoyed my food. It was smothered in cheese and was wonderfully seasoned with just the right amount of spice. It satisfied my burrito craving, but was nothing special. I liked it, but it felt like just another burrito. Frankly, I liked the bite of chimichanga I “borrowed” from my companion. The steak was rich and savory, and the tortilla was nice and soft. The guacamole was delicious but again, nothing special. 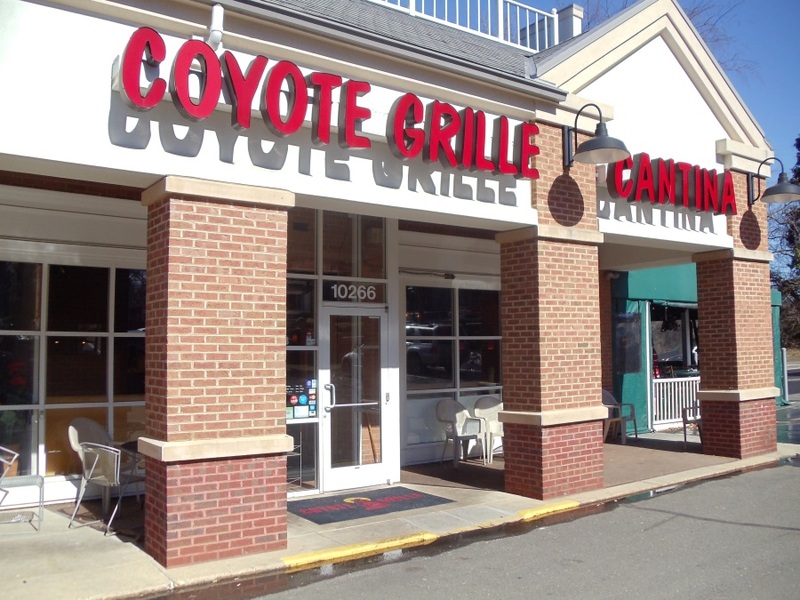 What really set the Coyote Grille apart was the excellent service we received. Our server was kind and courteous. He made sure that we were taken care of. I can’t remember any other experience with a server being both sweet and speedy. The bartender showed a level of care that was an unexpected treat. When the demands of the other party lessened, he came over to our table to refill our drinks. Upon noticing that my friend did not take lemon in his drink, the bartender swiftly removed it. Attentiveness is one thing, but noticing something as small as the lemon in someone’s drink is a completely different level altogether. 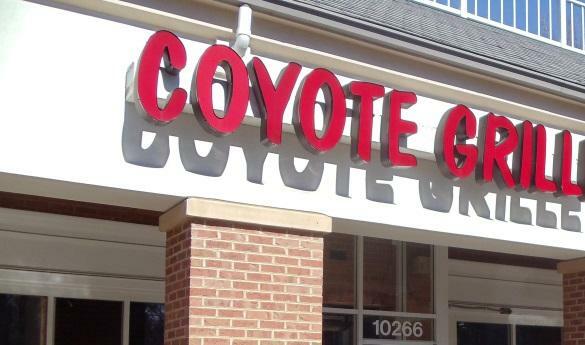 Overall, I left with the feeling that the Coyote Grille isn’t ideal for a Sunday brunch. The food was nothing special. Regardless, my burrito cravings were met. The atmosphere was friendly, but loud. Price-wise, the Coyote Grill was far cheaper than I’d expected. With an appetizer, two entrees, a fountain drink, tax and tip, the bill came to $35 and a handful of pennies. While I did enjoy my experience there and recommend it to anyone craving Tex-Mex cuisine, I think I would have had more fun if I had come for one of their daily happy hours from 3-6 p.m. to enjoy a half-priced appetizer and a drink special. Their extensive margarita menu was enticing with many variations on the classic cocktail, and if I had not been driving that afternoon, I may have given in and ordered one. The next time I visit, I will be with a group of friends during happy hour for the margaritas, appetizers and impeccable service. For more information, visit their website: www.coyotegrille.com.